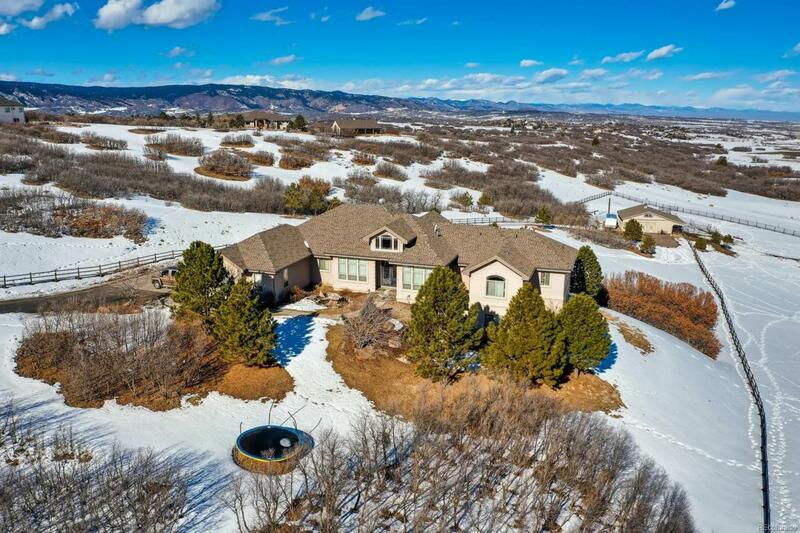 Revel in this exquisite home situated on 6 acres in beautiful Keene Ranch. Boasting over 6700 square feet of living space this home is a true entertainers dream! Magnificent ranch layout with walkout basement capitalizes the homes stunning views and brilliant natural light! Gather in the spacious chefs kitchen with premium finishes and granite counters. Mingle in the formal dining or living rooms . Relax around the fireplace in the family room or spill out onto the awe-inspiring covered outdoor space and enjoy miles of unobstructed views and spectacular sunsets. The stunning master bedroom is the ultimate retreat featuring vaulted ceilings, fireplace, 5-piece bathroom, and balcony. The finished walkout basement boasts an expansive recreation room complete with full sized high top bar and wine wall. Other features include: formal office, gym, two laundry rooms, and private balconies for all bedrooms. Oversized 4-car garage, 3-stall barn with tack room and 3 separate grazing pastures.